A distinctive oyster house has just come to Old Towne Orange with the opening of Ways & Means. The all-new restaurant specializes in oysters, but also has a bountiful array of dishes for guests to have a memorable dining experience. We visited Ways & Means earlier this month to try some of the unique and intense flavors of their food paired with their extensive wine offerings. 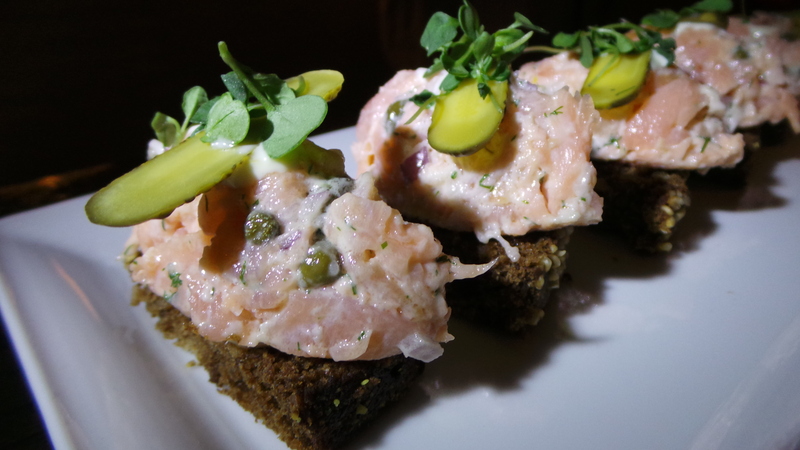 We started off the evening sitting at the intimate oyster bar while sinking our taste buds into their Salmon Rillettes served on homemade Guinness bread with red onion, watercress, and lemon aioli; and their Smoked Salmon Deviled Eggs with wild watercress and lemon oil. The Guinness bread on the Salmon Rillettes is baked fresh daily on-site at Ways & Means creating an incredibly fresh appetizer. 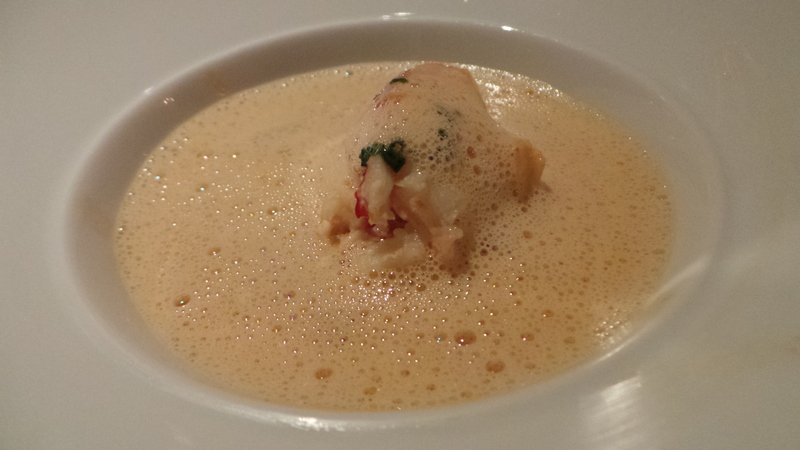 I have tasted many Lobster Emulsions before, but they have always been too thick and heavy to begin a meal. 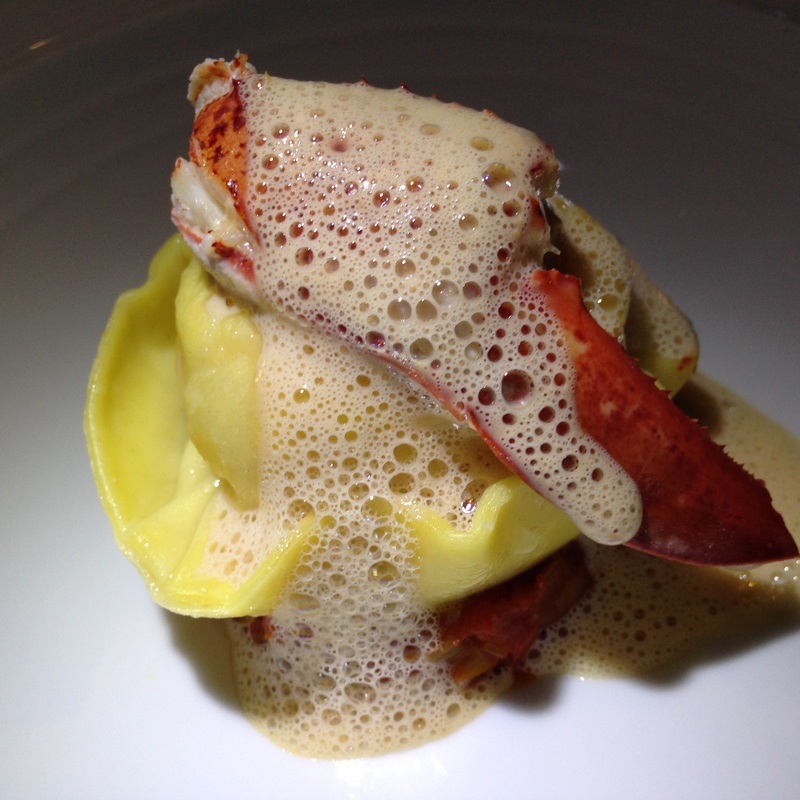 The Lobster Emulsion at Ways & Means was light and refreshing, allowing us to enjoy the fresh flavors of the lobster. 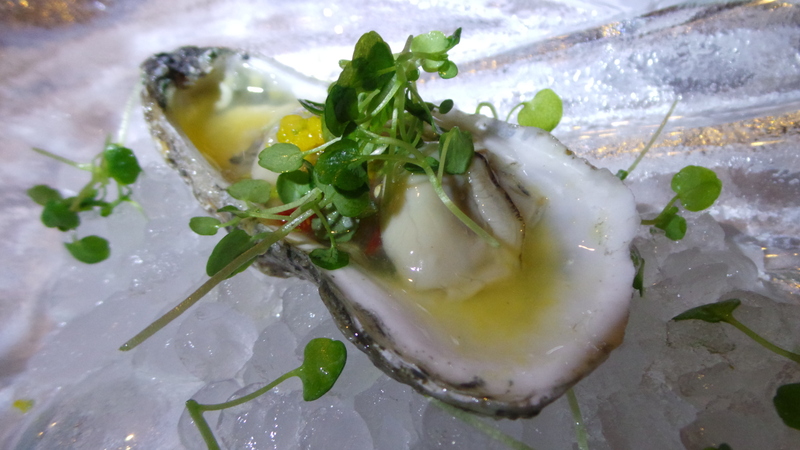 The Oyster Ceviche with pear confit and lime juice was one of my favorite oysters of the evening. It was light, and the flavor profile was something that I had never experienced before in an oyster. The chef, at Ways & Means, is pushing the boundaries on traditional oysters, and this is a great example of just one of the phenomenal dishes he is creating. 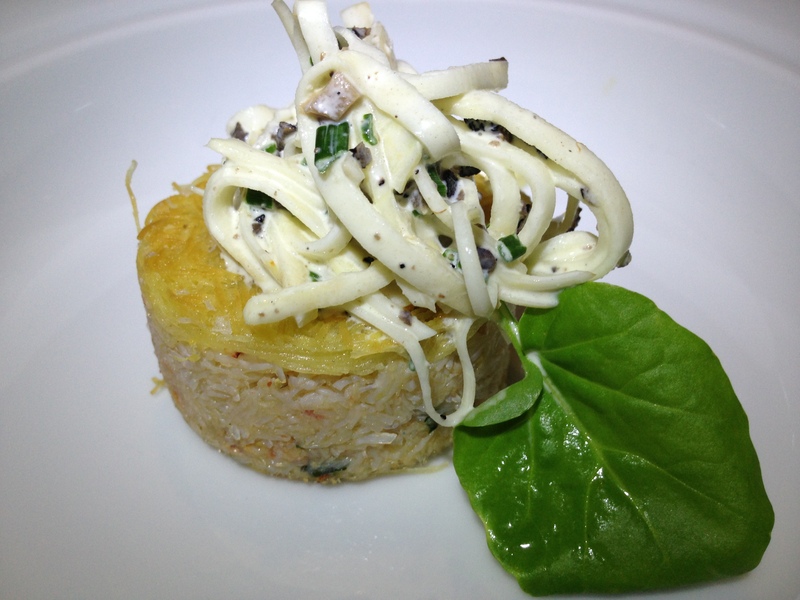 It was the celeriac remoulade in the Katairfi-style crab cake that made this dish extraordinarily unique. With a crispy shell, my fork broke through into the fresh crab mixed with cilantro and meyer lemon. 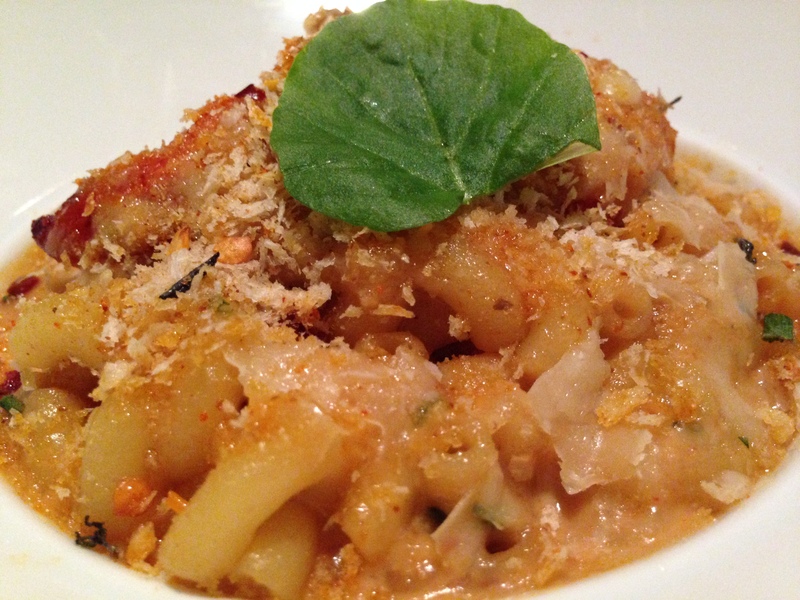 This is an unforgettable dish for anyone who has a love for crab. There is nothing that I love more than a dish paired perfectly with quail’s egg. 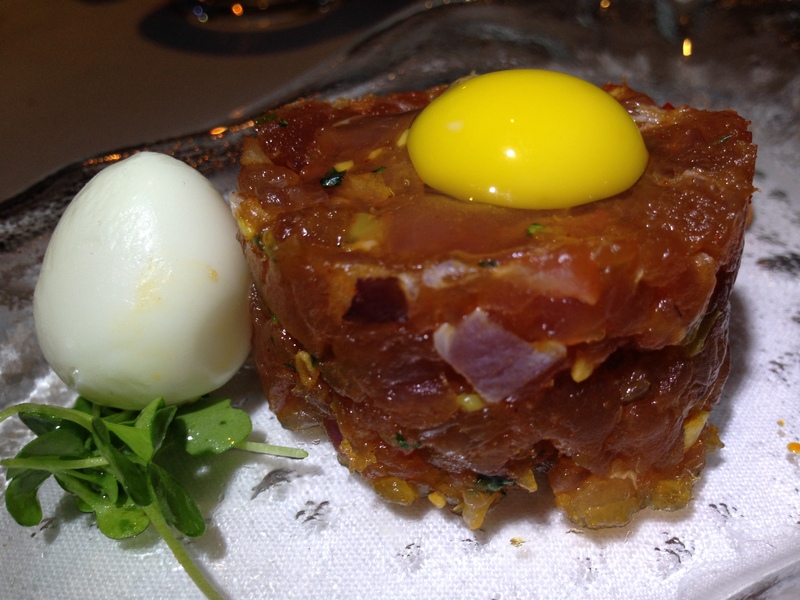 The Tuna Tartare with quail’s egg, gherkin, capers, whole wheat toast, and harissa would surprise even the most discerning diners. 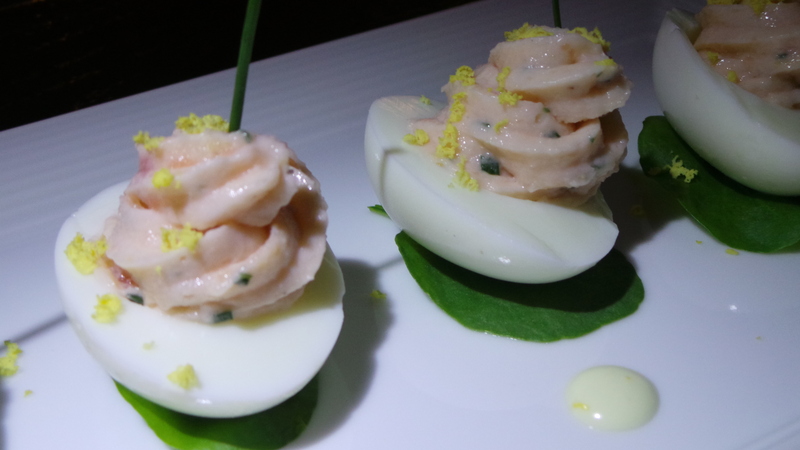 It came with a cracked quail egg on top along with another perfectly boiled egg on the side. This dish was light, refreshing and noteworthy. 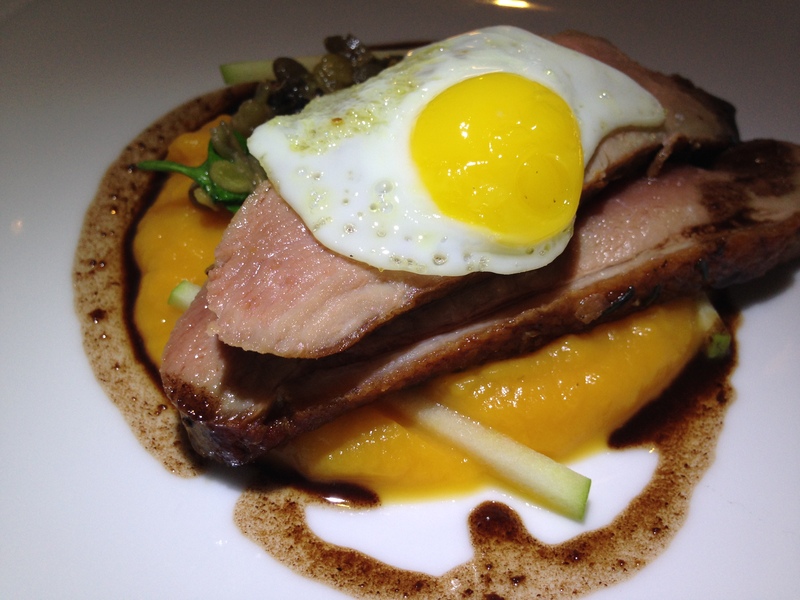 Another exquisite dish on the menu at Ways & Means is the Roasted Muscovy Duck Breast with butternut squash puree, puy lentils, sunny-side-up quail’s egg, and apple walnut salad. This dish is a highlight on the menu with the butternut squash being the hero of the dish that truly brings out the flavors in the duck. We paired this dish with they charred Brussels Sprouts that came swirled with capers, red onion and Serrano ham. 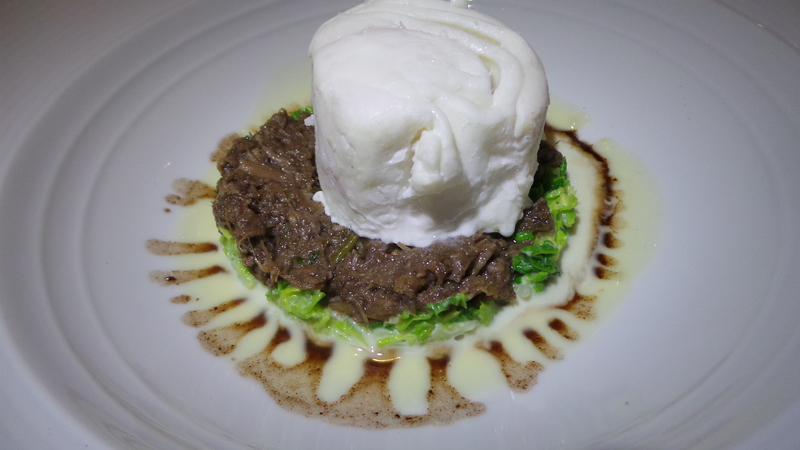 We ended the evening with the most extraordinary Bamboo Steamed Halibut atop of braised oxtail. It was the most distinctive combination on a plate creating a total epicurean experience for us while dining at Ways & Means. It came with cumin spiced savory cabbage, braised baby lees, and a red wine dressing. If you are looking to try one of the most astonishing dishes on the menu at Ways & Means, then I highly recommend this dish. 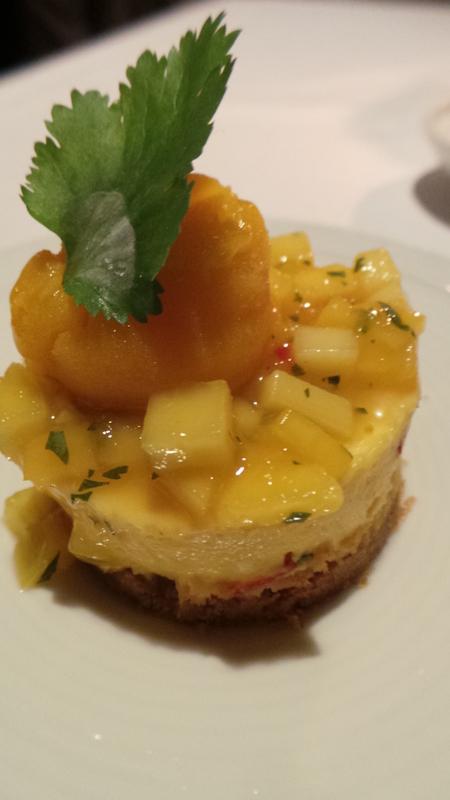 When we thought that we had experienced every single distinctive menu item at Ways & Means, they continued to amaze us with their Cilantro & Chili Mango Cheesecake and Duck Egg Crème Brûlée. It was the most incredible Crème Brûlée that truly tantalized my senses. 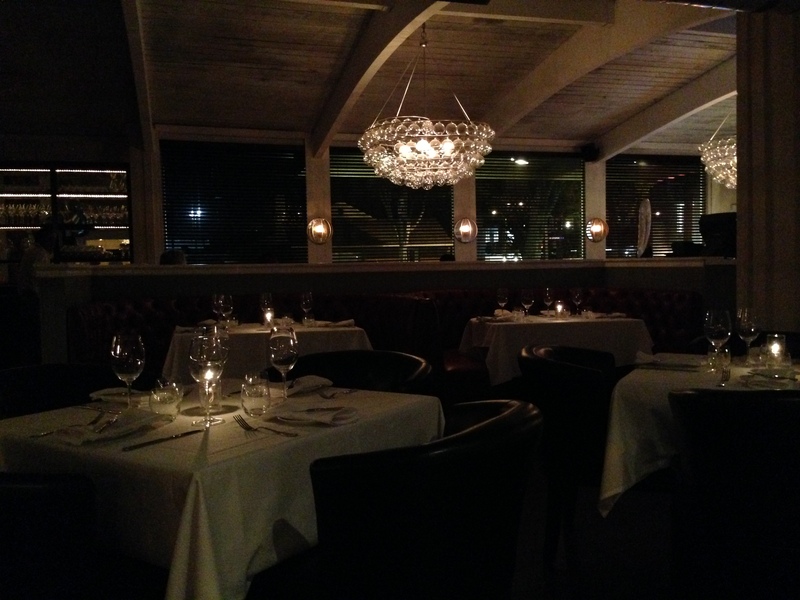 Ways & Means will create an epicurean escape for your next date night or dinner out with the family. Ways & Means is located in Old Towne Orange at 513 E Chapman Avenue. We attended a media dinner as a guest of Ways & Means. Photos are property of OC Mom Dining, and can be used only with permission.